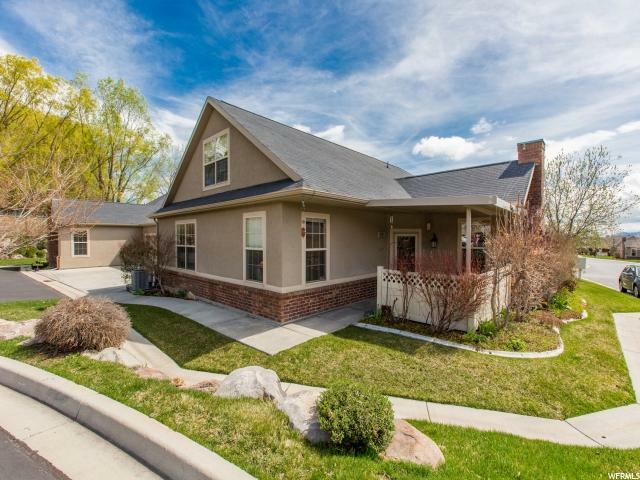 All MEADOW PARK VILLAS homes currently listed for sale in Lehi as of 04/18/2019 are shown below. You can change the search criteria at any time by pressing the 'Change Search' button below. "Charming and Rarely Available, 55+ Community, Main Floor Living Town Home. Spacious 3 Bed. all with Walk In Closets, 3 Bath, or use the 3rd Bed up for Large Family Room, Guests or Grandkids. Many Updates include Granite, New Dishwasher and Soft Gray Laminate Flooring. Private Covered Patio with no Close Neighbors for Summer Evening Enjoyment. Refrigerator, Washer/Dryer Included. So Clean and Ready For You. Easy to Show."